Cilla Black OBE (born Priscilla Maria Veronica White, 27 May 1943 – 2 August 2015) was an English singer, actress, entertainer and media personality. Championed by The Beatles, she began her career as a singer in 1963, and her singles “Anyone Who Had a Heart” (1964) and “You’re My World” (1964) both reached number one. Black had eleven Top Ten hits on the British charts between 1964 and 1971. In May 2010 new research published by BBC Radio 2 showed that her version of “Anyone Who Had a Heart” was the UK’s biggest selling single by a female artist in the 1960s. “You’re My World” was also a modest hit in the United States, peaking at No. 26 on the Billboard Hot 100, and both songs were among the chart-toppers in Australia. Black was born in Liverpool, England, on 27 May 1943 and grew up in the Scotland Road area of the city. Her parents were John Patrick White and Priscilla Blythen. Black had a Welsh grandfather, Joseph Henry Blythen, who was born in Wrexham, Wales, and Irish great grandparents on her father’s and mother’s side of the family. She was raised in a Roman Catholic household, and attended St. Anthony’s School. which was behind St. Anthony’s Church in Scotland Road, and Anfield Commercial College, where she studied Shipping Management. Determined to become an entertainer, Black got a part-time job as a cloakroom attendant at Liverpool’s Cavern Club, best known for its association with the Beatles. Her impromptu performances impressed the Beatles and others. She was encouraged to start singing by a Liverpool promoter, Sam Leach, who gave her her first gig at the Casanova Club, where she appeared as “Swinging Cilla”. She became a guest singer with the Merseybeat bands Rory Storm and the Hurricanes, Kingsize Taylor and the Dominoes and, later, with the Big Three. She was also a waitress at the Zodiac coffee lounge, where she was to meet her future husband Bobby Willis. Black was featured in an article in the first edition of the local music newspaper Mersey Beat; the paper’s publisher, Bill Harry, mistakenly referred to her as Cilla Black, rather than White, and she decided she liked the name, and took it as a stage name. Black signed her first contract with a long-time friend and neighbour, Terry McCann, but this contract was never honoured as it was signed when she was under age and her father subsequently signed her with Brian Epstein. But after seeing her another day, at the Blue Angel jazz club, Epstein contracted with Black as his only female client on 6 September 1963. Epstein introduced Black to George Martin who signed her to Parlophone Records and produced her début single, “Love of the Loved” (written by Lennon and McCartney), which was released only three weeks after she contracted with Epstein. Despite an appearance on ABC-TV’s popular Thank Your Lucky Stars, the single peaked at a modest No.35 in the UK, a relative failure compared to début releases of Epstein’s most successful artists (the Beatles, Gerry and the Pacemakers and Billy J. Kramer & the Dakotas). Black’s second single, released at the beginning of 1964, was a cover of the Burt Bacharach–Hal David composition “Anyone Who Had a Heart“, which had been written for Dionne Warwick. The single beat Warwick’s recording into the UK charts and rose to No.1 in Britain in February 1964 (spending 3 weeks there), selling 800,000 copies in the UK in the process. Her second UK No.1 success, “You’re My World”, was an English language rendition of the Italian popular song “Il Mio Mondo”. She also enjoyed chart success with the song in Australia, New Zealand, Europe, South Africa and Canada. Both songs sold over one million copies worldwide, and were awarded gold discs. 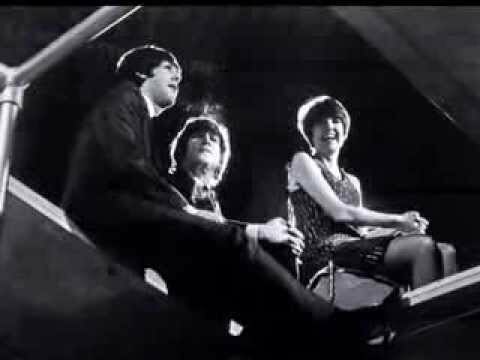 Cilla Black – It’s For You (1964). Black’s two No. 1 successes were followed by the release of another Lennon–McCartney composition, “It’s for You“, as her fourth UK single. Paul McCartney played piano at the recording session and the song proved to be another major international success for Black, peaking at No. 7 on the UK charts. Black’s version of “You’ve Lost That Lovin’ Feelin’” (1965) reached No. 2 on the UK charts in the same week that the Righteous Brothers‘s original version of the same song went to No. 1 there (week of 4 February 1965). This was the first of only three occasions in the history of the British Top 40 where the same song, recorded by two different artists, held the top two positions in the chart in the same week. George Martin’s and Parlophone’s attempts to pull off the same trick that they had succeeded at with “Anyone Who Had a Heart”, taking a strong song released by an American artist hitherto unknown to British audiences and giving it to Cilla, did not succeed in the same successful fashion in February 1965 as it had twelve months earlier. Being so closely associated with the Beatles, Black became one of a select group of artists in the 1964-65 period (the others in the same position being Billy J. Kramer & the Dakotas and Peter and Gordon) to record more than one Lennon–McCartney composition. Black continued to record Lennon-McCartney compositions throughout the period (1963–1973) that she was under contract to EMI‘s Parlophone; Black’s recordings of “Yesterday“, “For No One” and “Across the Universe” were acclaimed critically and became radio favourites. McCartney said Black’s 1972 interpretation of “The Long and Winding Road” represented for him how he always intended the song to be sung. Black’s career in the United States, although begun enthusiastically by Epstein and his PR team, was limited to a few television appearances (The Ed Sullivan Show among them), a 1965 cabaret season at the Plaza Hotel in New York, and success with “You’re My World”, which made it to No. 26 on the Billboard Hot 100. The song was to be her only American chart success, and Elvis Presley had a copy on his personal jukebox at his Graceland home. Black herself recognised that to achieve popular status in the USA she would need to devote much time to touring there. But she was plagued by homesickness and a sense of loneliness and returned to the UK just as she was starting to become popular in the US. During 1966, Black recorded the Bacharach-David song “Alfie“, written as the signature song to the 1966 feature film, Alfie. While Cher sang “Alfie” on the closing credits of the American release of the film and Millicent Martin on the UK version, Black was the first and only artist to have a hit with the song in the UK (No.9). “Alfie” went on to become a success for both Cher (in 1966) and Dionne Warwick (in 1967) in the States. Black’s version of “Alfie” was arranged and conducted by Bacharach himself at the recording session at Abbey Road. Bacharach insisted on several takes, and Black cited the session as one of the most demanding of her recording career. By the end of 1966, Black had been a guest on Peter Cook and Dudley Moore‘s Not Only… But Also; appeared in a Ray Galton–Alan Simpson revue in London’s West End—Way Out in Piccadilly—alongside Frankie Howerd; made notable appearances on The Eamonn Andrews Show and starred in her own television special (the first of its kind to be filmed in colour), Cilla at the Savoy. Epstein’s attempts to make Black a film actress were less successful. 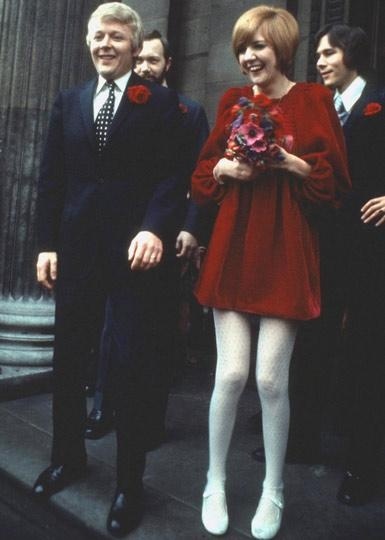 A brief appearance in the “beat” film Ferry ‘Cross the Mersey and a leading role alongside David Warner in the 1968 psychedelic comedy Work Is a Four-Letter Word were largely ignored by film critics. In a 1997 interview with Record Collector magazine, Black revealed she was asked to appear in the 1969 film The Italian Job, playing the part of Michael Caine‘s girlfriend, but negotiations fell through between producers and her management over her fee. Epstein died of an accidental drug overdose in August 1967, not long after negotiating a contract with the BBC for his only female artist to appear in a television series of her own. Relations between Epstein and Black had somewhat soured during the year prior to his death, due largely to the fact that Epstein was not paying her career enough attention and the fact that Black’s singles “A Fool Am I” (UK No.13, 1966) and “What Good Am I?” (UK No.24, 1967) were not big successes. Apparently Black was also unhappy with Epstein’s public admission that he had taken LSD. In her autobiography, Black claimed that Epstein had tried to pacify her by negotiating a deal that would see her representing the UK in the 1968 Eurovision Song Contest. However, Black refused on the basis that Sandie Shaw had won the previous year’s contest, and that the chances of another British female artist winning were improbable. After the death of Epstein, Black’s boyfriend and songwriter Bobby Willis assumed management duties. After the relatively disappointing performance of “I Only Live to Love You” (UK No. 26, 1967), Black hit a new purple patch in her recording career, starting with “Step Inside Love” in 1968 (UK No. 8), which McCartney wrote especially for her as the theme for her new weekly BBC-TV variety series. Other successes followed in 1969: “Conversations” (UK No. 7), “Surround Yourself With Sorrow” (UK No. 3), “If I Thought You’d Ever Change Your Mind” (No. 20). Black had a further big hit with “Something Tells Me (Something’s Gonna Happen Tonight)” (UK No. 3) in 1971. Black’s association with the Beatles continued. At a Cannes Film Festival during the 1970s, she joined George Harrison, Ringo Starr and popular music singer Marc Bolan to attend a screening of the John Lennon–Yoko Ono experimental film Erection. She also holidayed with Harrison and Starr on a trip aboard a yacht chartered by Starr. “Photograph” was written on this trip—originally intended for Black to record—but Starr decided to record it himself. George Harrison also wrote two songs for Black: “The Light that has Lighted the World” and “I’ll Still Love You (When Every Song is Sung)”. The latter she recorded during 1974 with her then producer David Mackay, but it was not heard publicly until 2003 when it was included on a retrospective collection entitled Cilla: The Best of 1963–78. In 1993 she released Through the Years, an album of new material featuring a number of duets with Dusty Springfield, Cliff Richard and Barry Manilow. Ten years later, she released the album Beginnings … Greatest Hits and New Songs. It’s true—the British don’t like their girl singers to be too good, they think it smacks of emancipation, and Cilla at least seemed safe. Obviously, she was quite a nice girl. Also, she was respectable and reliable, very clean and quite unsexy, and she played daughter or maybe kid sister, steady date or fiancée, but she played nobody’s mistress at all. She wasn’t like that. Everyone patronised her like hell, waiting for her to fall, but then she didn’t fall after all, she floated instead and she’s still up there now. She won’t ever come down either—she doesn’t sing much, she still comes on like a schoolgirl but she’s liked like that and she can’t go wrong. Genuinely, she’s warm and she makes people glow. In her time, she will grow into a pop Gracie Fields, much loved entertainer, and she’ll become institutionalised. Black was the best-selling British female recording artist in the UK during the 1960s and released 15 studio albums and 37 singles in total. During 2006–07, Black’s 1971 single “Something Tells Me (Something’s Gonna Happen Tonight)” was used as the soundtrack to a new British advertising campaign for Ferrero Rocher chocolates. During the 2008–09 pantomime season, Black returned to live musical performance in the pantomime Cinderella, appearing as the Fairy Godmother. Black was part of an all-Scouse cast assembled in this three-hour stage spectacular to mark the end of Liverpool’s year as European Capital of Culture. The show incorporated a number of Black’s successes, which she performed live, including “You’re My World”, “Something Tells Me (Something’s Gonna Happen Tonight)”, “Step Inside Love” and “Sing a Rainbow”. Black received rave reviews for her singing and overall performance. On 7 September 2009, a total of 13 original studio albums (the first seven produced by George Martin) recorded by Black between 1963 and 2003 were released for digital download. These albums were all digitally remastered and featured an array of musical genres. Also released by EMI at the same time was a double album and DVD set, The Definitive Collection (A Life in Music), featuring rare BBC video footage; a digital download album of specially commissioned re-mixes Cilla All Mixed Up; a remixed single on digital download of “Something Tells Me (Something’s Gonna Happen Tonight)“. In October 2013, Parlophone Records (the record label which launched her career in 1963) released the career-spanning CD The Very Best Of Cilla Black —containing all 19 of her UK Top 40 singles, new club remixes plus a bonus DVD of her 1966 TV music special Cilla at the Savoy. Black was offered her own show on the BBC by Bill Cotton, then Assistant Head of Light Entertainment. The first series of Cilla was broadcast on Tuesday 30 January 1968. On the first show, her guest was Tom Jones and the two popular music stars sang a duet together. Paul McCartney (without Lennon) wrote the theme tune – another chart success for Black – entitled “Step Inside Love“. This song was later covered by Madeline Bell. The series was very popular and ran for almost a decade, racking up eight seasons (66 episodes) between January 1968 and April 1976. Although it featured guest appearances by many famous stars of the era (including Cliff Richard, Henry Mancini, Johnny Mathis, Andy Williams, Charles Aznavour, Ringo Starr, Lulu, Matt Monro, Sacha Distel, Donovan, Georgie Fame, Dusty Springfield, Ethel Merman, the Shadows, Phil Everly, Marc Bolan, Jimmy Tarbuck and Ronnie Corbett), most of the episodes (recorded on videotape) were subsequently erased by the BBC. This success paved the way for a lengthy television career which continued intermittently until 2003. Black began the 1970s by appearing on the BBC’s highly rated review of the sixties music scene Pop Go The Sixties, performing “Anyone Who Had a Heart” live on the show broadcast across Europe and BBC1, on 31 December 1969. Black recorded her performance for this show separately, in a different studio without an audience, although she did sing live. Like so many of her contemporaries, during the 1970s, Black’s musical career declined, although she toured often. Increasingly thought of as a television “personality”, she found herself experimenting with situation comedy for ITV. Her BBC series, Cilla, continued successfully until 1976, recessing during 1970, 1972 and 1975. 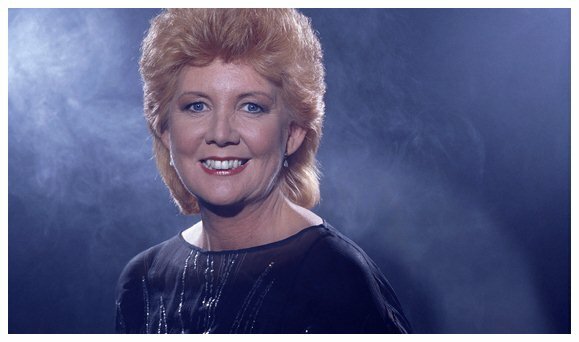 The theme songs from the Cilla series were also successful. Step Inside Love opened the series in both the 1968 and 1969 runs and reached number 8 in the UK singles chart on its release. Something Tells Me (Something’s Gonna Happen Tonight) was the theme for the 1971 and 1973 shows, reaching number 3 and becoming Black’s last top ten success. “Baby, We Can’t Go Wrong” was used for the 1974 series and was a minor success, reaching number 36, Black’s last UK chart song until 1993. “It’s Now” was the final theme from the 1976 series and failed to reach the charts, though it was released as a “B” side. The UK’s Eurovision Song Contest entry selection process was part of the Cilla show in both 1968 and 1973, when her close friend, Cliff Richard was the featured artist performing all the songs shortlisted in the A Song For Europe segment. Black was originally asked to sing for the UK in 1968 and was asked again for the 1970 contest, but declined because she was pregnant at the time. In 2007, Black took part in the BBC Wales programme Coming Home about her Welsh family history, with roots in Wrexham and Holywell. On 15 January 1975, Black performed as the main entertainer of the first of six half-hour situation comedy plays. The series which was broadcast on ITV was entitled Cilla’s Comedy Six and written by Ronnie Taylor. During May 1975, the Writers’ Guild of Great Britain named Black as Britain’s Top Female Comedy Star. The following year, ATV was commissioned to film six more plays as the initial series had accrued healthy viewing figures and remained constantly among the best scoring three shows of the week. During August 1976, Black reprised her role as a comedy-actress in Cilla’s World of Comedy which featured her theme song and new single “Easy in Your Company”. From 2013 to 2014, Black was set to co-star in a new BBC sitcom Led Astray, alongside Paul O’Grady – the pilot episode was recorded on 31 October 2013. However the show was shelved due to the pair being unable to cope with the long hours of filming. By the beginning of the 1980s, Black was performing mainly in cabaret and concert and absent from television since a 1978 Thames Television special. In 1983, she appeared on the BBC’s Wogan programme. Her appearance on this peak-time talk show was a major success, and her career in television was resurrected. According to Christopher Biggins in his autobiography, she “stormed back into the public consciousness with a barnstorming performance as a guest on Wogan in 1983, proving that we can all have second chances” and after her appearance, people were “desperately trying to find her the right comeback vehicle”. Her TV appearances made her spoken mannerisms (“Lorra lorra laughs”, for example) and her habit of referring familiarly to her fellow presenters (“Our Graham”) well known. Black’s most notable television performances after her resignation from LWT included Parkinson, So Graham Norton, Friday Night with Jonathan Ross, Room 101 and a one off show titled Cilla Live! for Living TV. Black was a judge on the first series of the reality TV series Soapstar Superstar, has featured in an episode of the series Eating with… and has guest presented editions of The Paul O’Grady Show and The Friday Night Project for Channel 4 in 2006 and 2007 respectively. In 2008, Black filmed a pilot for a dating show for Sky One. Loveland was to be a ten-part “21st century” dating programme for the channel for the next year. Unlike on Blind Date, contestants would not sit in front of a studio audience, but be ‘hidden’ behind real-time animations as they date each other. Each episode concludes with the contestant picking their preferred animated character before meeting that person in real life. Production costs, however, were too high and it was terminated. In October 2009, Black guest anchored Loose Women and between September 2010 and June 2011, she made guest panellist appearances. On 28 November 2009, Black appeared on Sky1 to present TV’s Greatest Endings. She also appeared as herself in the first episode of series 4 of ITV’s Benidorm in 2011. She also appeared as the guest host of Never Mind the Buzzcocks on 5 December 2011. ITV honoured Black’s 50 years in show business with a one off entertainment special which aired on 16 October 2013. The show, called The One & Only Cilla Black starred Black alongside Paul O’Grady, who hosted the show. The show celebrated Black’s career including a special trip back to Black’s hometown Liverpool, a host of celebrity friends and some surprise music guests. Black paid homage to Blind Date with the return of its most popular contestants and saw her star in a special edition of Coronation Street. In 2014, Black was the subject of a three-part television drama series, Cilla, focusing especially on her rise to fame in 1960s Liverpool and her relationship with Bobby Willis. ITV aired the first instalment on 15 September 2014, starring BAFTA-award winning actress Sheridan Smith. Black was married to her manager, Bobby Willis, for more than 30 years until his death from lung cancer on 23 October 1999. They had three sons: Robert (who became her manager, born 1970), Ben (born 1974) and Jack (born 1980). Their daughter, Ellen (born 1975), was born prematurely and suffered lung complications, living for only two hours. Black was a staunch supporter of the Conservative Party during the 1980s and publicly voiced her admiration of Margaret Thatcher, stating in 1993 that Thatcher “put the Great into Great Britain”.In April 1992 she appeared on stage at a Conservative Party rally and made prominent calls for the party’s re-election under the leadership of John Major. But in an interview in 2004 with The Guardian, Black claimed that she was “apolitical”. The Liverpool Echo also quoted her as saying: “as for the politics thing, I’m not a Conservative.” In August 2014, Black was one of 200 public figures who were signatories to a letter to The Guardian opposing Scottish independence in the run-up to September’s referendum on that issue. Black died at her home near Marbella, Spain on 2 August 2015. Police are awaiting autopsy results but say that her death was most likely from natural causes.